One of the joys of an active involvement in the country/roots/Americana scene is the abundance of high quality ‘below the radar' artists that you come across. Therefore it was a great pleasure to discover the talents of Annie Dressner towards the back end of last year via her superb debut album STRANGERS WHO KNEW EACH OTHER’S NAMES which with immense delight had a favourable review on here. 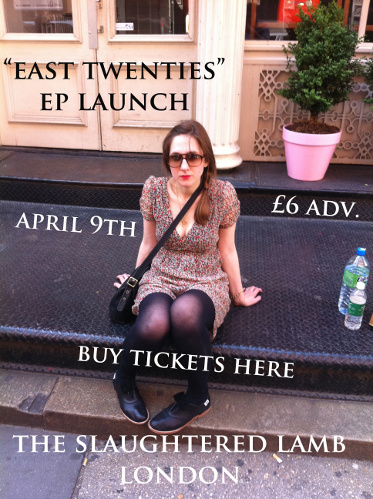 Now the US born UK based singer-songwriter has followed this up with a short EP named after her home New York neighbourhood EAST TWENTIES. Like so many up and coming performers, Annie decided to finance the project via the Pledge system and, with weeks remaining ahead of its April release, had the joy of reaching the target amount. This is such a vital platform for unsigned artists to prosper and their buoyancy is essential for the rude health of the music industry. With this four track EP release, it is very much of the same for Annie although the songs selected are of a more gentle variety than many on the album. 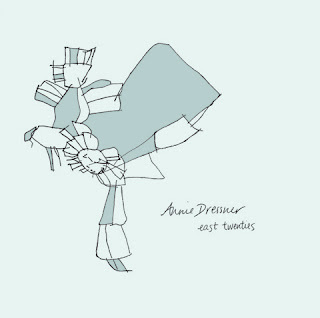 The trademark highly original mesmeric vocals are still in place, ensuring the unmistakeable enduring sound of Annie Dressner remains the endearing feature of the songs. The production is uncomplicated with Annie’s amiable guitar strumming blending with the keys, mandolin and bass input from collaborator and fellow producer Paul Goodwin. The subtle cello of Jo Silverston also adds value to a couple of the tracks. The best song on the EP is the opening number ‘Heartbreaker’ which grows in admiration with each listen. Written in a narration-like format, this nostalgic masterpiece invokes considerable passion in a sad tale of lost love. The sense of feeling oozes from the lyrics within an air of sensitivity. The second track ‘I Can’t Forget’ takes the sound down a notch with a beautiful heartbreaking string arrangement accompanying a tormented and sad song of remembrance. ‘Flame’ slightly reverses the gentle sound with another metaphorical take on life experience. ‘Lost in a Car’ brings this short collection of acoustic gems to a close with a bout of escapism. As with so many singer-songwriters, the heart and real life experience are the fuel for the creative outpourings. The songs are there to be analysed if you wish or just enjoyed as they rank high on pure listening pleasure. It goes without saying that this record is insufficient in content on the positive side. 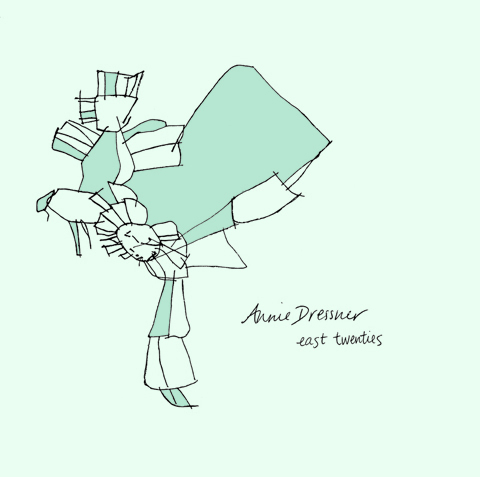 There has to be more from Annie Dressner but in the meantime, add this release to last year’s album and you’ll begin to understand what an outstanding talent we have in our midst.